The reality star posed on top of a dune buggy. 17. 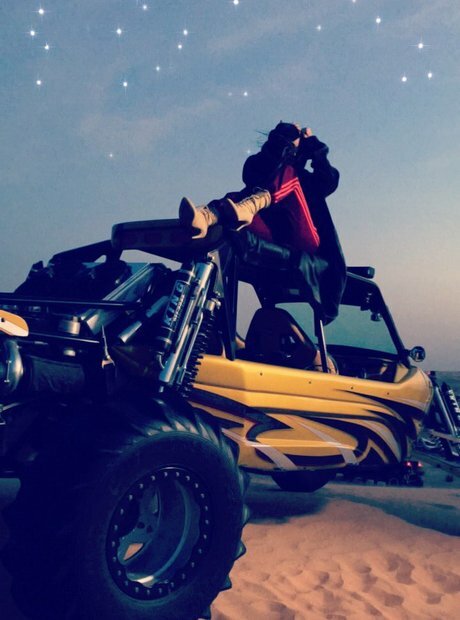 The reality star posed on top of a dune buggy.